Designer Sweatshirt Blue Harness by SAW. This blue designer sweatshirt is a SAW exclusive blending the lines of activewear and contemporary menswear. Featuring royal blue pullover sweatshirt with graphic white shoulder harness. 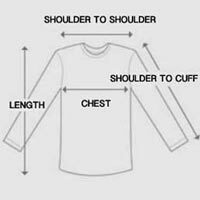 Constructed with long sleeves, crew neck, and elastic ruched sleeves. Designer sweatshirt made from soft, heavyweight cotton with contrasting poly-blend sleeves. Includes logo chest patch, single zipper accent on sleeve, and split hems. Attached white shoulder straps designed with wraparound black text and silver metal hardware. Shoulder harness cannot be removed. Get an on-trend top with all the extreme accents in this blue designer sweatshirt.